Home Loan Eligibility Amount is a nail-biting suspense during the home loan process. From buyer’s perspective, it’s some secret recipe or a sort of exam whose outcome is eagerly awaited. 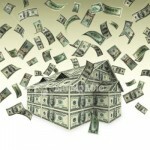 There are multiple factors which impact the Home Loan Eligibility Amount. Through my posts, i keep highlighting these factors which directly or indirectly impact the Home Loan Eligibility Amount. CIBIL Score is one such factor which i have covered in detail through my posts on CIBIL Score. In this post, we will discuss some tricks and tips through which you can increase the Home Loan Eligibility Amount. Though i always suggest my readers to apply for Pre-Approved Home Loan to avoid any future shocks. It helps to financially plan a property purchase in a hassle free way. As i keep highlighting in my Home Loan posts that property purchase should be planned well in advance. It also includes the planning for Home Loan. One of the best ways to increase Home Loan Eligibility amount is to tweak the salary structure. In order to save tax, a salaried employee opts for flexi components i.e. Perquisites and Allowances. These components reduce tax liability but at the same time these perquisites and allowances are not part of your salary slip. In my post on How Home Loan Eligibility is Fixed? i mentioned that income and Repayment Capacity is critical factor to arrive at Home Loan Eligibility Amount. These flexi components are not considered as a part of income. To fix Home Loan Eligibility Amount, the home loan provider discount the reimbursements, perquisites or allowances even though they are part of your CTC. It is assumed that these components are availed against actual expenditure thus not included in net take home salary or salary slip. If you are planning to avail Home Loan in a year or so, you need to tweak your salary structure. In short, you have to make it non-tax friendly for higher home loan eligibility amount. You should sacrifice on all the reimbursement, allowances, and perquisites. Though it will increase your tax outflow but at the same time it will increase your Home Loan eligibility amount. As i mentioned in my posts on CIBIL Score that Credit Utilization is one of the critical factors to arrive at the creditworthiness of the borrower. It is also an important factor to fix Home Loan Eligibility Amount. The problem is that you cannot change or tweak your credit utilization overnight. It may take 12-18 months to fix the credit utilization and to improve the credit worthiness. In layman terms, credit utilization is the % of net take home salary to service the existing credit, overdraft, and liabilities. It should not exceed 60% of net take home salary. Assuming your net take home salary is Rs 1 lac and existing credit liabilities i.e. Credit Card Bill, EMI etc is Rs 40k. In this case, your available credit worthiness is just Rs 20k per month. In short, you can only service EMI of Rs 20k. In this case, your Home Loan eligibility amount will be around 20 lac to 25 lac depending on other factors. In order to increase credit worthiness and reduce credit utilization, you need to reduce credit card usage and close all other credit facilities availed like personal loan, car loan etc. Tweaking of salary structure will also reduce credit utilization because it will increase net take home salary. After availing Home Loan, you can immediately change your Salary Structure and revert back to tax friendly CTC. In almost all the cases, borrowers ignore this important point. Though home loan providers heavily promote Home Loan to women. They also provide an incentive of 0.05% lower interest rate or processing fees waiver if the borrower is women. The Irony is that i have not seen a single case of a sole Home Loan Borrower being women. Husband is always the co-borrower. Reason being, Home Loan Provider always fear that women may discontinue job in future to take care of family commitments. Conversely, Banks like ICICI Bank etc don’t process Home Loan until unless the wife is a co-borrower even if she is not a co-owner. In most of the cases, the CIBIL Score of both husband and wife are taken into account irrespective of ownership pattern. Therefore, it is critical that besides improving your CIBIL Score, you also have to work on CIBIL Score of your spouse to increase Home Loan Eligibility Amount. If you are planning to buy a property then you should at least work in a single organization continuously for 2 years. Frequent job changes impact your Home Loan Eligibility Amount. Therefore, planning should be well in advance so that you can show job continuity of min 2 years. Banks prefer and give consideration to Home Loan borrower if he/she has existing relationship with the bank. Therefore, if you are planning a Home Loan in next 12 months time then you should start banking relationship with the bank in advance. Open a savings account with the bank and park your savings and surplus amount in this savings account. Banks do check existing record/relationship of a customer. If the existing relationship is good then the bank may ignore/relax certain points while fixing Home Loan eligibility amount thus will increase your Home Loan Eligibility Amount. You should start following good credit practices at least 2 years in advance. Pay all the Bills and EMI’s on time. Also, you should not default on any payment. While fixing Home Loan Eligibility Amount, more weight is given to recent credit history. You should avoid any unsecured credit facility like personal loan, overdraft facility etc for 3-4 years before availing Home Loan. Good credit practices will serve the dual purpose of improving CIBIL Score and increasing Home Loan Eligibility Amount. Though it is not a very critical factor but i observed that some banks have started giving weight to existing insurance coverage of a borrower. A borrower who is adequately insured is least risky for a Home Loan provider, therefore, the bank is willing to lend more. It also shows that the borrower is very good in financial planning and is an informed borrower. In my opinion, Term Insurance equivalent to 10 times annual income and Health Insurance of 8 lac-10 lac are must before you avail Home Loan. In case of any eventuality, the probability of Home Loan default is minimum in such cases. In this post, i tried to cover all the imp points which can impact your Home Loan eligibility amount. Every Home Loan provider has their own criterion to fix the Home Loan eligibility amount but above mentioned points are universal. Through intelligent and smart planning, you can increase your Home Loan Eligibility Amount.